When you purchase Pipeline ROI for brokers and teams, your agents can get our complete inbound marketing system for a major discount. Every Pipeline ROI agent website features relevant, SEO boosting content, a stunning mobile-responsive theme, and a built-in content blogging platform. 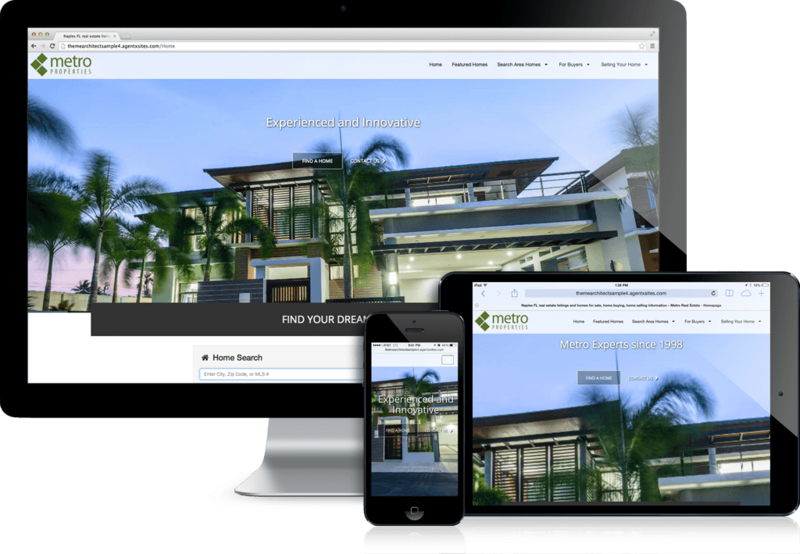 Our designers work with your agents to build the perfect site for their brand and target market. 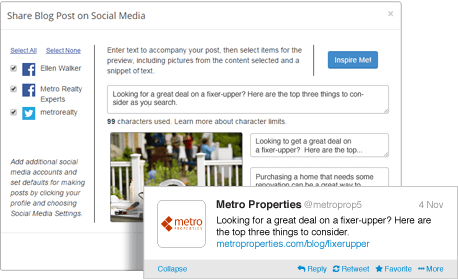 Our inbound marketing platform is packed with social media tools that can help your agents build their online presence and drive traffic back to their website. They can share website pages, listings, open houses, and social posts straight from our inbound marketing dashboard in just a few clicks. If you’re using our lead routing system, Lead Manager, then your agents have a leg up on their competition. They will receive instant notifications when a new lead is sent to them, with the option to accept or decline the lead, and even send an automatic text message. When your marketing is working to collect leads, your agents need a system in place to nurture them. 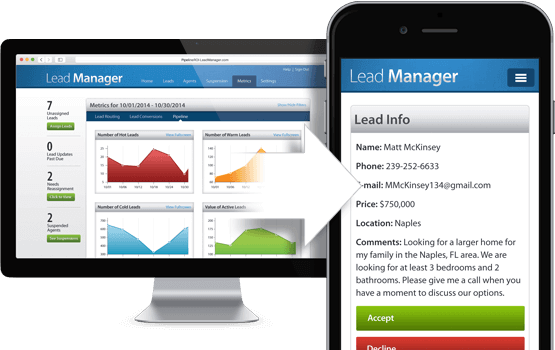 Every Pipeline ROI agent platform includes targeted buyer, seller, and referral e-mail campaigns to stay in touch with all of their leads. 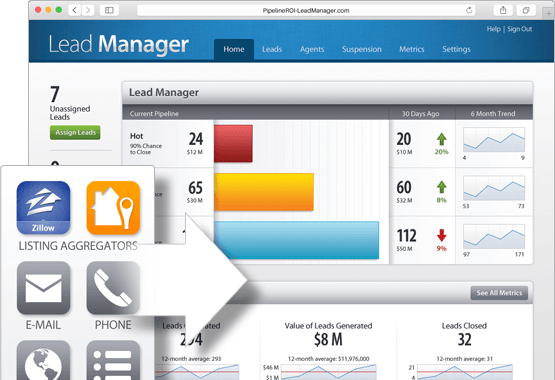 If you’re using Lead Manager, agents will also receive a daily report reminding them to contact hot leads. 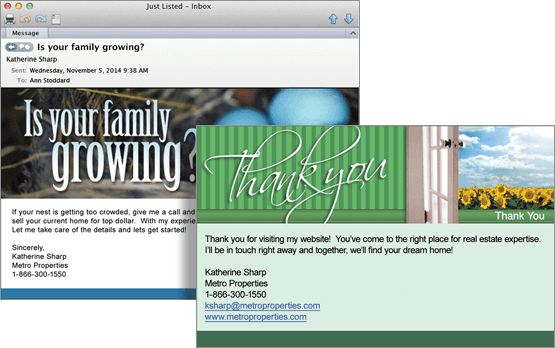 Our smart e-mail campaigns can help agents get powerful testimonials to use in their marketing. And once a deal is done, they can simply mark a client as closed, and our follow up system will send them occasional e-mails to encourage referrals. 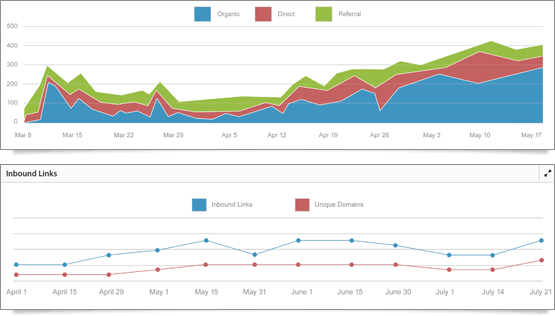 Your agents’ marketing can get a whole lot smarter when they use our built in marketing analytics. They can monitor their web traffic, social media presence, new and return visitors, inbound links, referring pages, keywords and more. They can also take advantage of our training resources to optimize their marketing to get even more leads.